Update: If you are coming along to the Little Mountain Brass Band concert following the ride to Deep Cove, please be aware that the band is soliciting donations (I always donate $5, but some give more). Many will recall the dreary experience of hearing me prattle on about my jazz allergy (resulting from overexposure as an infant) and wondered if there was even a scintilla of truth of its genesis. 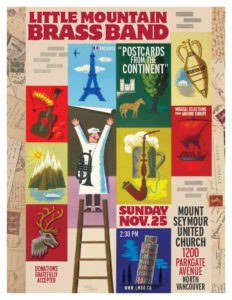 Well, now all doubts can be address: you are invited to experience the “joy” of a brass band concert following this ride and my dear father will be among the E Flat Horns of the Little Mountain Brass Band performing at the Mount Seymour United Church in North Vancouver (details below). The ride will cross on the Ironworks Memeorial Bridge then follow Dollerton Highway to Cates Park and on to Deep Cove (there is some gravel in this part, so you have been warned) then stop for lunch at the Ravens Pub for refueling before a short ride to the concert. This ride is dependent on reasonable weather – in case of messy weather, I will send a message on WhatsApp and post here if cancelled by 7:30am on the day of the ride. Following the concert we will return to Vancouver with “riders’ choice” routing. Meet: 9:15am at Arbutus Coffee (Arbutus Street at W. 6th Avenue) or 10:00am at JJ Bean (Commercial Drive at E. 6th Avenue). Leader: Will (please email me to indicate which starting point I should expect to see you – I will ride through both). 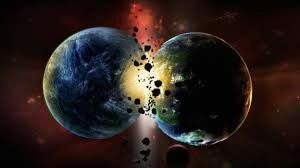 This entry was posted on Monday, November 12th, 2018 at 10:48 am and is filed under Old Rides. You can follow any responses to this entry through the RSS 2.0 feed. You can leave a response, or trackback from your own site.